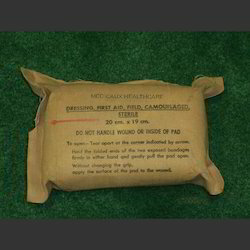 With our in-depth knowledge of this domain, we are actively engaged in providing a supreme quality range of Field Dressing. With the support of our team, we have been able to bring forth the best-in-class First Field Dressing. Hygienically manufactured using high-grade basic material, this products are in conformance with stringently quality parameters of the medical industry. Furthermore, we offer these products in different sizes and colors to meet diversified demands of the clients. 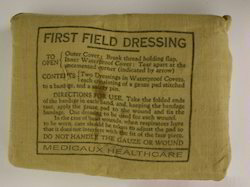 Looking for First Field Dressing ?